That is what happened when you are better in the Chinese Language, that you have trained countless PRC government leaders. 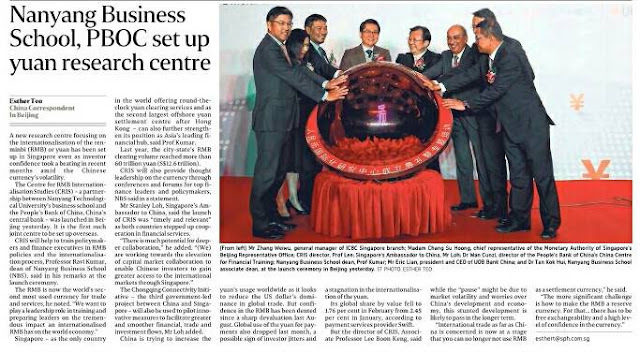 The Yuan research centre will be in NTU and not NUS. I can feel the rapidly increasing importance of CL. It is a world of difference when China move from the primary seller to become the primary customer. As a seller she speaks your language to make the sale. As a customer you have to speak their language to get them to buy from you. They are going to publish in CL or at least in bilingual.